Legal Firm Website Design has years of experience designing websites for lawyers. Our niche target market has allowed us to perfect the process and deliver websites that look great and perform better. 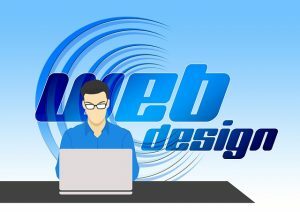 Our dedicated web design team will sit with you and explain every step of the process. We offer unlimited revisions for our clients, so don’t be afraid to speak up if you don’t like something; even if it’s small, we appreciate your feedback. After all, it’s your website and every detail counts! Legal Firm Website Design has flexible packages that can be adjusted to fit your needs. Our websites range from starter sites, which only feature a few pages, to massive websites with over 50 pages of content. No matter what size plan you decide to go with, you will receive our full range of services. In addition to web design, we offer a number of online marketing packages. Our marketing team specializes in search engine optimization, pay per click, and writing informative and intriguing content. While our project managers will suggest these services to you a la carte, we will not force any service on you we don’t really think you need. Why Does my Law Firm Need a Website? You might be saying to yourself, “Why do I need a website, I’m doing fine without one” or “I already have a website, why do I need a redesign?” Well, those are both loaded questions as there are an abundance of reasons for your firm to have a new and up to date website. Your website will help you reach potential clients and hone in on specific target markets. It is important to keep your website current and up to date because your website is your firm’s digital footprint. It’s the first impression you will make on prospective clients, so don’t waste it. Your website should be clear, attention grabbing, and show off your firm’s strengths. If you have a message you want to convey, our experts will make sure it’s the first thing a prospect sees when they visit your website. When you hire Legal Firm Website Design to build your new website, you will receive our full slate of services, no matter how big or small your firm is. One of the services we provide is to make sure your website is search engine friendly. We want to make sure that your website is going to rank high on major search engine results pages, like Google, Bing, or Yahoo. By doing this, we will maximize your website’s visibility, which, in turn, will lead to more traffic. There are a few ways we can ensure that your website is search engine friendly. One of the strategies we will implement is making your website mobile friendly. This has become a fairly standard practice in our field. The use of mobile phones has grown incredibly over the past few years and will only continue to grow. Another way we can make your website search engine friendly is by optimizing the speed of your website. In today’s world, everyone wants information quickly. Internet users have become increasingly impatient. If your website does not load in the first two seconds, it is likely that they will become frustrated and leave the website. We can go about this in different ways including, decreasing the size of images, decreasing server response time, taking advantage of previously stored cache, and compressing the text files on your website. Finally, we will make sure that your website is secure. In other words, when users go to your website, a little green padlock will appear on the left side of the domain box. Next, to this, it will say “https://” rather than “http://.” Browsers, like Google Chrome, have begun to red flag site’s that are not secured in an effort to increase cyber safety. Without a security certificate, users may be turned away from your website. Over the years, our designs have changed. We have learned what information is pertinent and how to organize it. Our designs are strictly for law firms. This gives us an edge over other agencies. We know what works for lawyers and what does not. At the top of the page will be the header section. Our headers are sticky and will follow the reader as they scroll through the page. Sticky headers have become one of the biggest trends in website design over the past year. It makes the navigation easily accessible to the reader no matter where they are on the page. A sticky header is known to improve user-friendliness. In the header, you will find the main navigation. The main navigation usually includes the categories like practice area(s), attorney profile(s), about us, location(s), blog, and a contact form. These categories are flexible and can be easily adjusted. When our team is designing your website, we always keep one thing in mind; make sure we are generating leads. Everything we do is aimed at creating more business for your firm. We will build custom contact forms into the sidebar, add the call to click or email features, create a site architecture that is clean, clear, and user-friendly, and make sure that your content is informative. Each page will have a call to action form, button, or link that is accessible whether you are at the top of the page or the bottom. We use WordPress to design all of our websites. We find that WordPress is not only easy for us to use, but it is easy for our clients to use, even those who may not be tech-savvy. Our clients have free reign over there site. If you feel that you would like to upload blogs or another page of content, you can write it and upload it on your own, or ask your project manager about our content services. If you already have a website, we are able to redesign the website to fit your needs. If you want to keep the information from your old website, it’s no problem at all. We can migrate all of the information from your old site, to your new site. We will make sure that your redesign is an improvement from your old website and is built to achieve the goals we set at the beginning of the campaign. What Happens if I have a Problem With my Website? One of the services we pride ourselves on is our client support. Our support team is available from 9AM to 8PM EST, free of charge. They will be able to assist you with any problems you have and walk you through the solution. If they are not able to find a solution to your problems, one of our experienced designers will get on the phone with you, fix your problems and answer any other questions you have. If you are interested in having Legal Firm Website Design design your firm’s website, please feel free to fill out our contact form. One of our account managers will get back to you to schedule a meeting in the next 24 – 48 hours. We hope to hear from you soon. How Long Until Web Design Is Universally Automated?